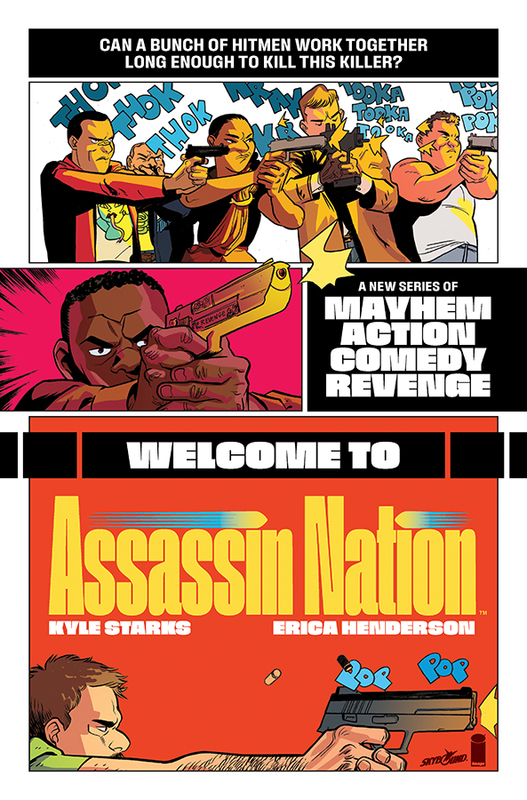 PORTLAND, OR, 03/21/2019 — Two-time Eisner Award winner Erica Henderson (The Unbeatable Squirrel Girl, Jughead) and Eisner-nominated writer Kyle Starks (Rick and Morty, Sexcastle) hit their mark with the launch of Assassin Nation last week and delivered fans a side-splitting, mega-violent action-comedy. 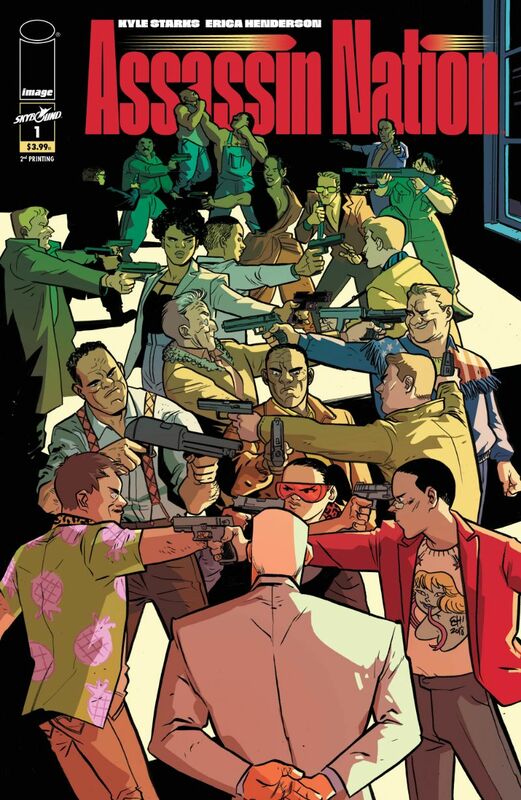 In order to keep up with the growing customer demand, Image/Skybound Entertainment’s Assassin Nation #1 is already slated to go back to print. 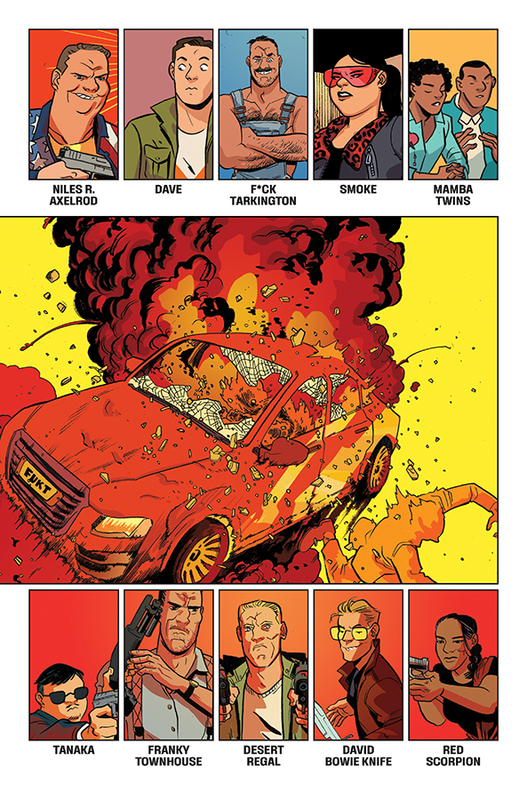 With the same laugh-until-you-cry spirit of action-comedies like Hot Fuzz, Tropic Thunder, and Deadpool, Assassin Nation is the bombastic, hilarious, murder-fest readers have been waiting for. 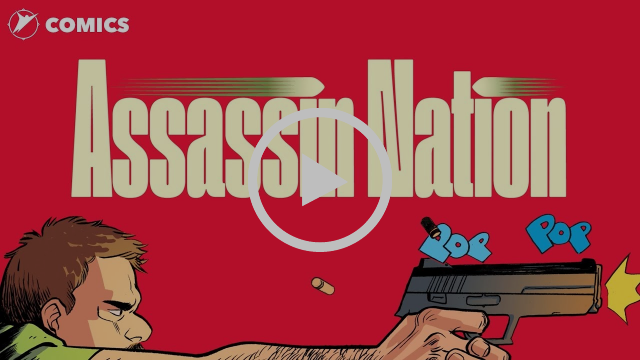 Assassin Nation #1, second printing (Diamond code: JAN198546) will be available on Wednesday, April 17. 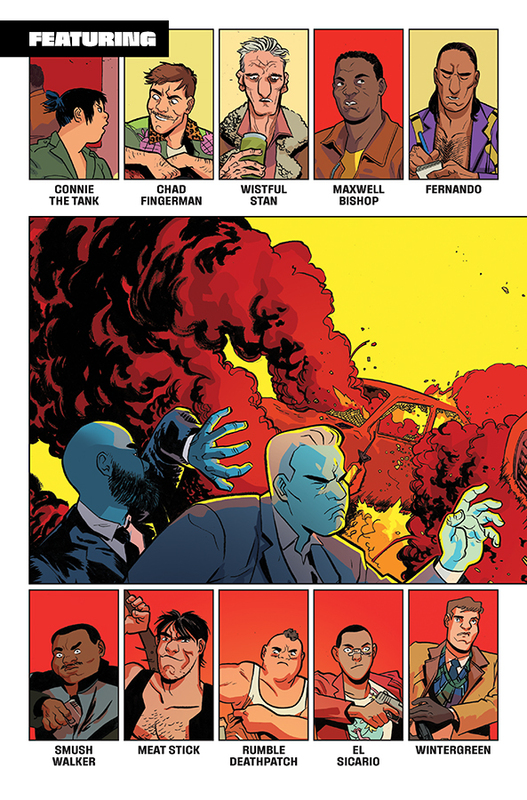 The final order cutoff deadline for comics retailers is Monday, March 25. 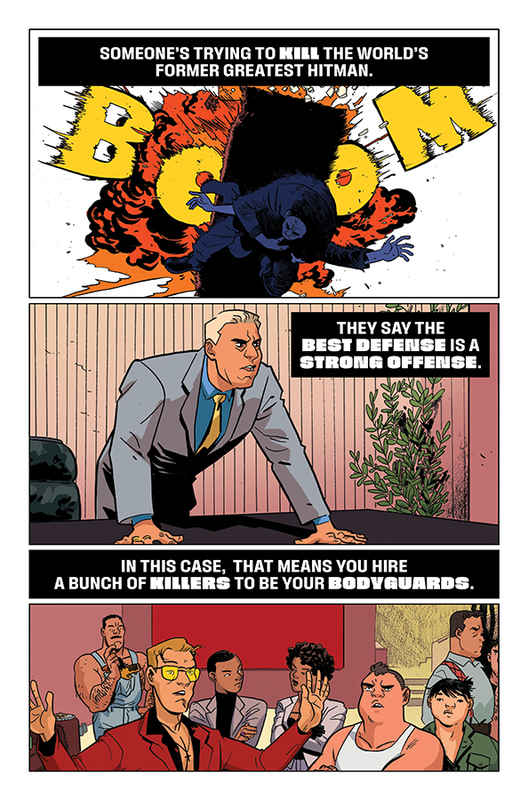 It will also be available for purchase across many digital platforms, including the official Image Comics iOS app, Amazon Kindle, Apple Books, comiXology, and Google Play.